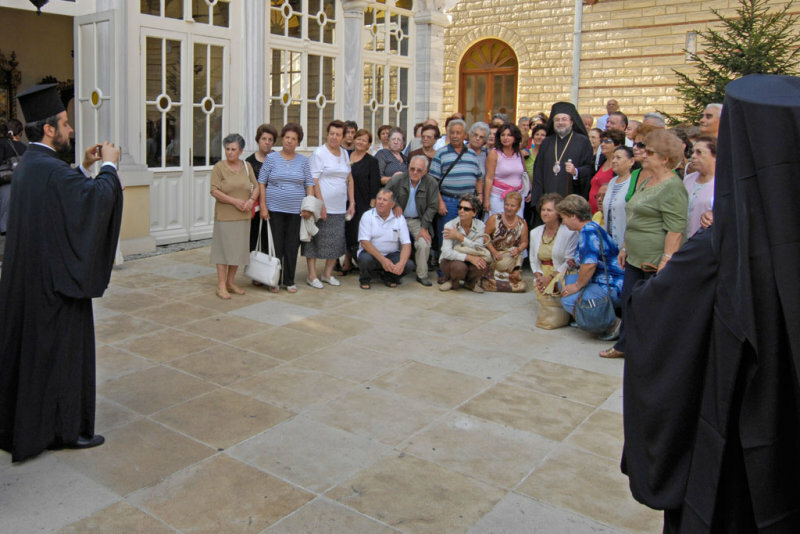 At the Greek Orthodox Patriarchate. The church is dedicated to St. George. A group of visitors attended a service and then had their pictures taken by the priests.